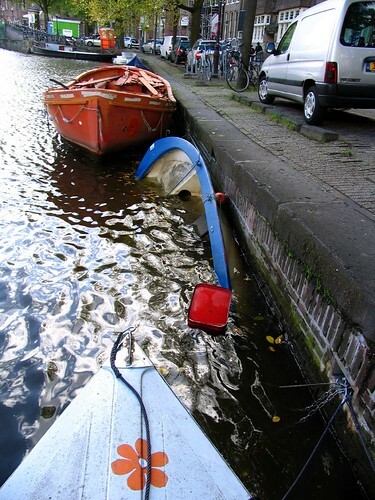 Here is what happened: I’d been having problems with my outboard motor for a long time. It’s quite an old one (from the seventies) and it’s been working on and off. 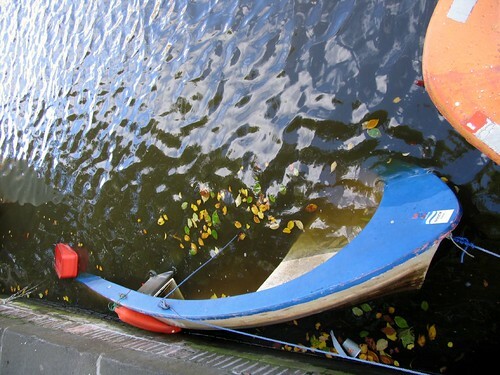 On a nice Saturday afternoon about a month ago I took my bootje for a spin and what do you know: just before a notoriously busy canal-crossing in Amsterdam (at the Prinsengracht and the Leidsegracht) my outboard decided to quit. Man, did I freak out. And no matter how hard I tried; I couldn’t get the thing to work again. So, extremely frustrated, I decided to leave the bloody thing right there. Then, I didn’t look at it for a week or so. Didn’t cover it up with a tarpaulin and then we got those downpours last week. 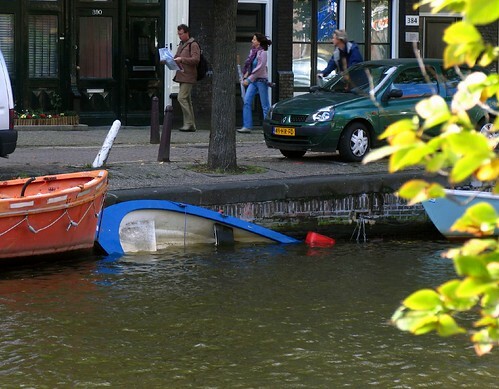 I returned this week to check on good ole bootje and whaddayaknow: gone forever.